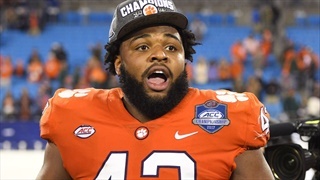 Take a look back at Clemson's fourth consecutive ACC Championship win. 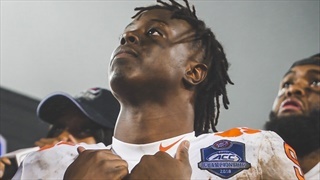 Travis Etienne has made a name for himself during his short time at Clemson, but the Jennings, Louisiana native still hasn't peaked. 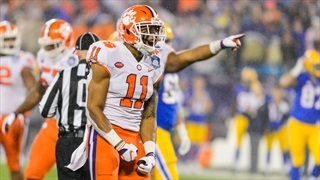 Clemson won its 4th-straight ACC Championship Saturday night, 42-10 over Pitt. With the win: No. 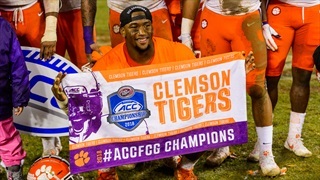 2 Clemson 42, Pitt 10 - Clemson won its 24th conference championship in school history last night in Charlotte. 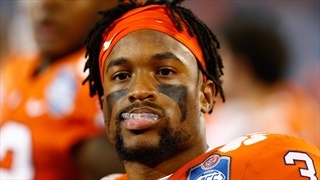 Clemson heads to Dallas to take on Notre Dame after their fourth consecutive ACC Title. 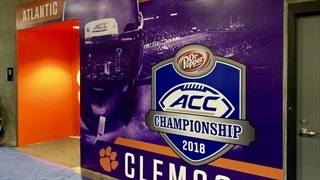 We share some of our post-game videos and photos from the field after Clemson's win over Pitt in the ACC Championship. 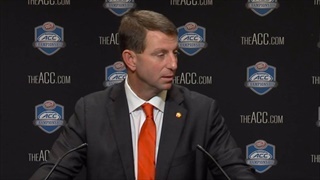 WATCH: Dabo Swinney: "We have an unbelievably special group"
Clemson has won their fourth consecutive ACC Championship booking their ticket to fourth straight College Football Playoff. No. 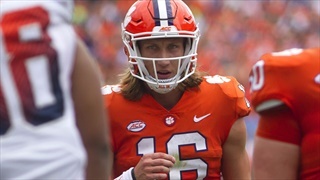 2 Clemson put an exclamation point on their perfect regular season, moving to 13-0, with its 42-10 dismantling of Pitt to win yet another ACC Championship. 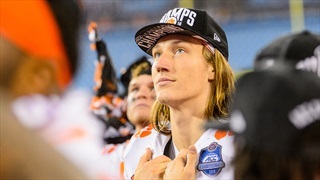 Another Clemson Championship, as they say. 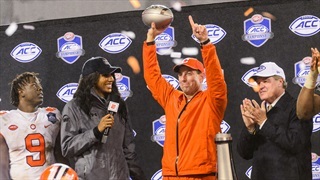 Clemson made another trip to Charlotte for the ACC Championship and brought home a record fourth consecutive outright ACC Title. 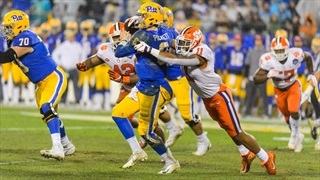 Clemson and Pitt battle tonight for the Atlantic Coast Conference title. Hang out in our live chat to get updates from the press box. No. 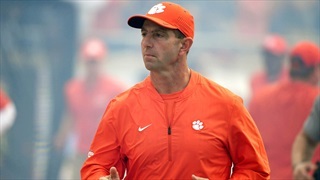 2 Clemson is looking for a record-setting fourth consecutive outright ACC Title. 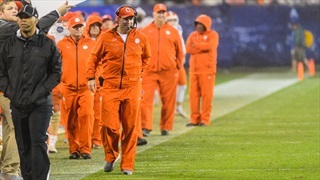 Clemson looks to earn a fourth consecutive trip to the College Football Playoff in tonight's ACC Championship Game. One outlet states, "Yes, Pittsburgh pulled off the huge upset in 2016. No, the Panthers won’t do it this year." Clemson and Pitt will square off in Charlotte tomorrow night at 8:00 PM. 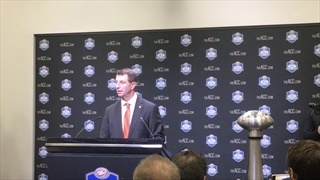 Dabo Swinney and Pat Narduzzi spoke with the media this afternoon as both teams have arrived in the Queen City of Charlotte for tomorrow's matchup in the ACC Championship. The No. 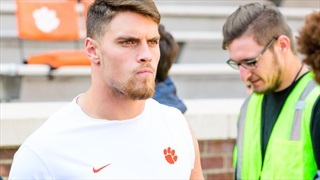 2 Tigers will attempt to win their 4th-straight outright ACC title Saturday night, in what would be a first in the history of the conference. 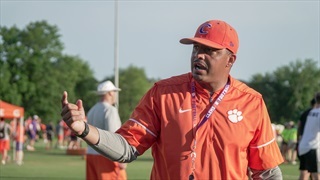 Tony Elliott has recently garnered interest from several schools for their head coaching jobs, and Yahoo Sports thinks he's the most-ready assistant coach to take over a program. 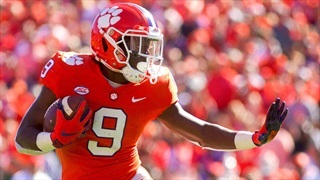 Clemson sophomore running back Travis Etienne has been named the Atlantic Coast Conference Football Player of the Year, the league announced Wednesday. 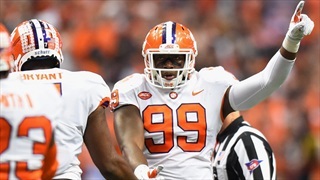 Clelin Ferrell, the Tigers’ junior defensive end, made it a Clemson sweep as he was recognized as the league’s Defensive Player of the Year.